Trees are teachers, healers, protectors, creators. They keep secrets. They bring peace. 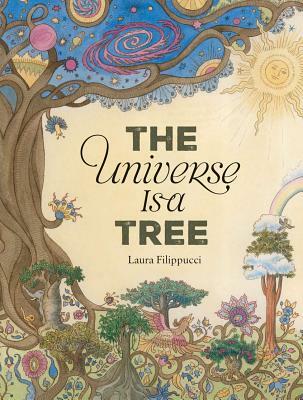 This rich anthology of stories, proverbs, and poems about trees from around the world reveals that a tree's roots not only go down deep into the earth, but its branches also reach up and out into the universe, connecting us all, across time and space. May we peer through the forests of our imaginations to see the beauty and experience the awe that still arches over our world. A native of Milan, Italy, Laura Filippucci studied illustration at the Istituto Europeo di Design in her hometown and at the School of Visual Arts in New York. In 1992, she received a UNICEF Award at the 25th Illustrators Exhibition of the Bologna Children's Book Fair. She lives in Milan with her husband, also an illustrator, and their three children.